eCut 6 - Help. Nothing happening when I press buttons on toolbar. Nothing happens when pressing buttons. This may happen when installer can not find CorelDRAW macro folder automaticaly. But it is easy to do by yourself. 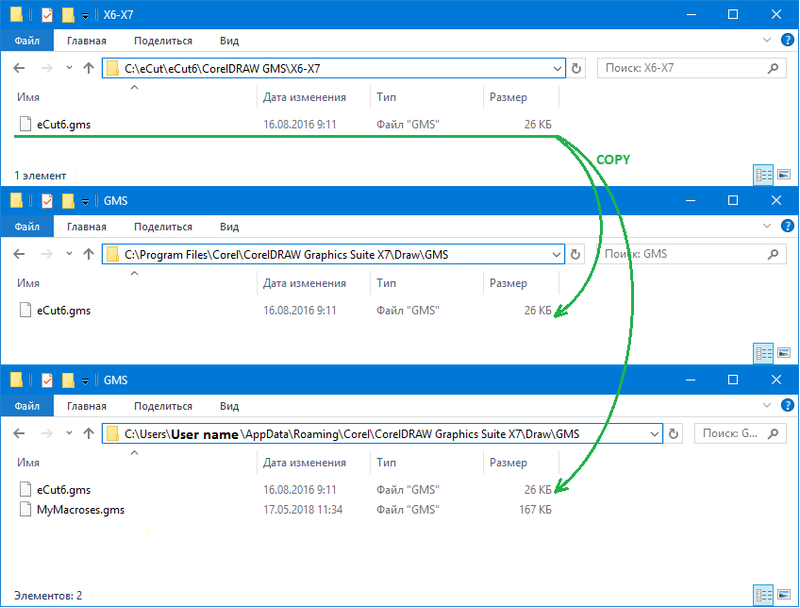 Open folder C:\eCut\eCut6\CorelDRAW GMS\ and find your CorelDRAW version folder there. In this folder C:\eCut\eCut6\CorelDRAW GMS\Your CorelDRAW version you'll find only one file eCut6.gms. Now start CorelDRAW and eCut will work. If you'll have any problems or question - feel free to contact me.